The OFS Element Series allows your to choose from a wide selection of materials, surface finishes and components to create the look you desire. Exposed wood surfaces are number one select cherry, walnut, maple or oak veneers. Drawer fronts are matched in sets to assure proper grain balance. Select straight and quarter grain patterns are used overall to maintain consistency between individual units. Work surfaces are 1.1875î thick utilizing 3-ply construction. Durable scratch-resistant matte finish on all units. High pressure laminate worksurfaces are 3-ply construction with .050 thickness for high impact resistance. Available in Square Edge only. All file drawers accommodate letter or legal filing. Filing hardware is black powder coated to prevent corrosion. Drawer construction uses 0.4375" thick unidirectional plywood drawer sides and backs are assembled using rigid dowel construction. Drawers feature 0.25î thick drawer bottoms. Drawer interiors are sanded and finished. High quality drawer suspensions carry a lifetime warranty. Box and file drawers are full extension. All suspension systems feature positive and cushioned in/out stops, steel ball bearings and a durable finish to ensure a smooth ride. Pedestal locks secure all drawers with the turn of a single key. All units are standard shipped keyed alike. Removable lock cores allow for rekeying at a later date. For offices to be keyed differently, keying requirements must be specified on the purchase order at the time the order is placed. The patented Euroluxe» finish is a chemically re-engineered Urethane clear coat that preserves the beautiful depth and clarity of OFS' finishes, but allows for much greater performance with chemical and scratch resistance, as well as the complete elimination of dangerous formaldehyde emissions. 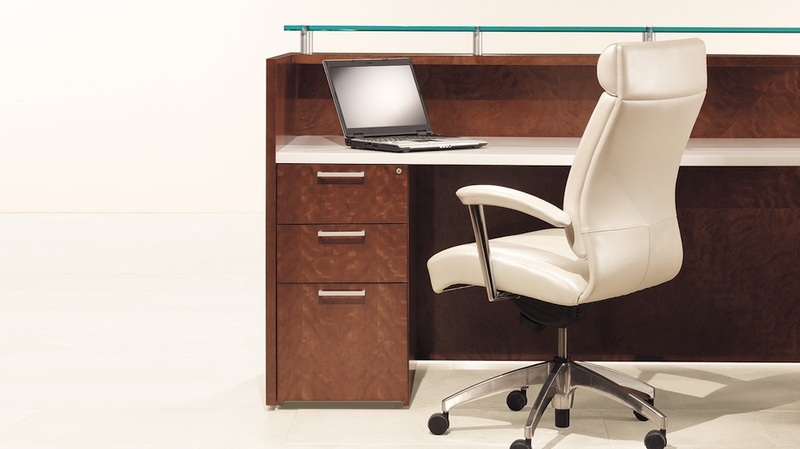 The Euroluxe» finish system achieves indoor air quality standards set by LEED and BIFMA furniture emission standards and allows all products to achieve SCS Global Services' Indoor Advantage Gold Certification. 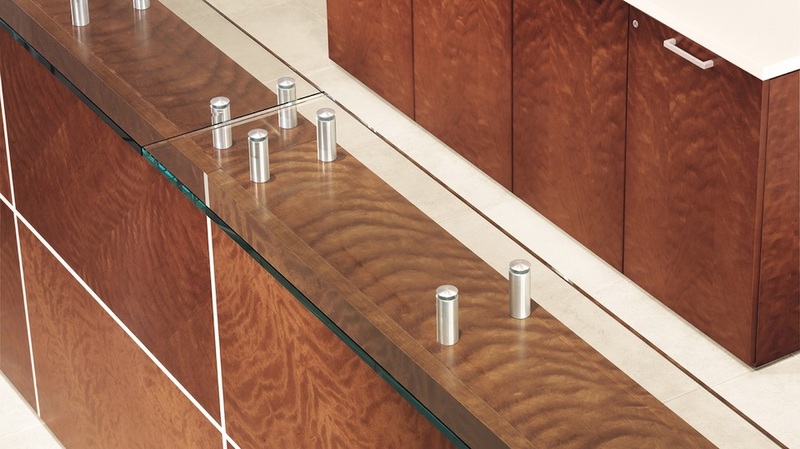 SilverBan» technology is an antimicrobial utilizing silver ions infused into the Euroluxe» wood finish for antimicrobial protection on all exposed wood surfaces. SilverBan» inhibits the growth of mold, mildew, fungus and bacteria on wood surfaces, as well as odors caused by bacterial growth, by 99.99%.